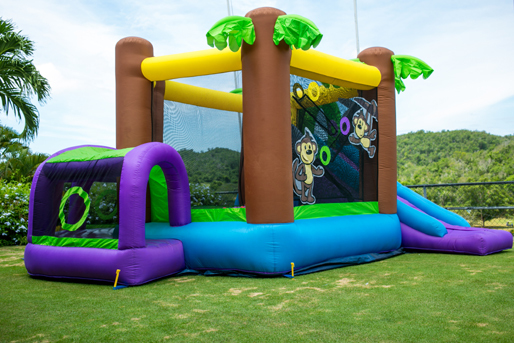 Perfect for smaller children who loves the adventure of climbing, sliding and crawling. Approximately 16 x 13.5 x 8'H. Recommended age 3 - 11. Not recommended for more than 6 users at one time. Bounce House Attendant may or may not be provided.